Soften the butter at room temperature and mix with the chipotle powder in a small bowl. 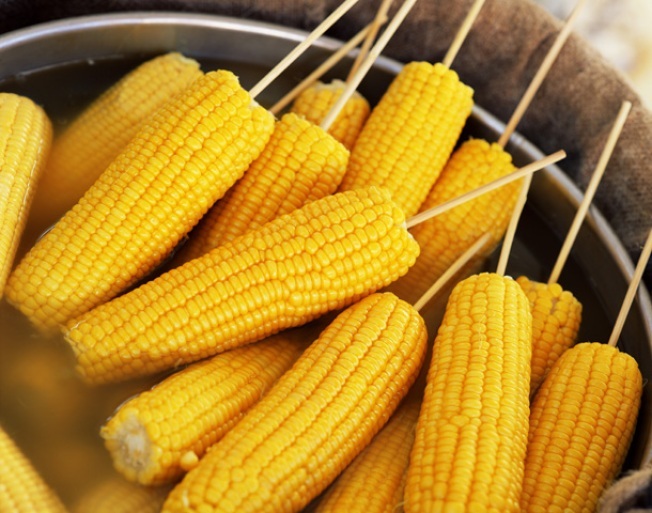 Next, grill the raw corn over a gas or charcoal grill, continually turning, until lightly brown all around. Then, brush the corn with the chipotle butter and serve. First, season the chicken with the salt and pepper on both sides. In a medium sized bowl zest both limes and lemons and then add the juices of each. Add the olive oil to the mixture and then add the chicken to the bowl coating all sides. Cover and refrigerate for six hours. Next, for the honey glaze, bring the orange juice to a slow simmer in a medium sized sauce pan until it's cooked down to half its original volume. Turn off the burner and add the honey and orange zest while the juice is still warm. Then, over a charcoal or gas grill cook the chicken skin side down until brown and crispy. Turn and cook the chicken until the center is at 155 degrees, or for about 15 minutes. Brush the honey onto skin side of the chicken and continue to cook until almost done, approx. 160 degrees, or another 3 minutes. Let the chicken rest for 10 min to let the oils in the chicken case the water out. Then heat the chicken again on the grill until it is at serving temperature of 165 degrees for another minute.